The vacuum oxygen decarburizer (VOD), an oxygen lance in the centre of the tank lid to enhance carbon removal under vacuum. The VOD is often used to lower the carbon content of high-alloy steels without also overoxidizing such oxidizable alloying elements as chromium. This is possible because, in the pressure-dependent carbon-oxygen reaction. Being in this industry for a long period of time, we are involved in the manufacture and supply of Metal Refining Converters. 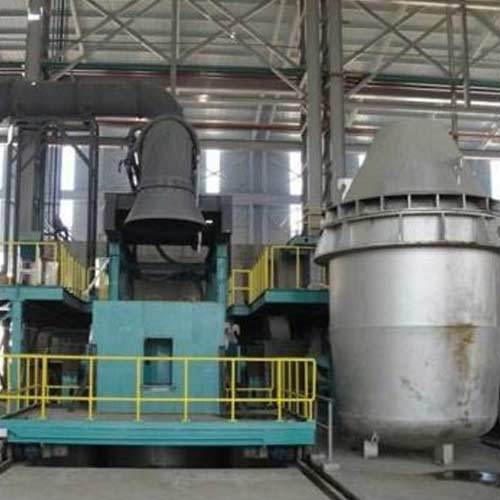 Our Metal Refining Converter represents our expertise and unique manufacturing process. Manufactured using optimum quality of resources procured from the industry known vendors, we take pride to have gained the confidence of our valued customers in introducing this product. We use optimum quality of resources which are taken from the most reliable vendors. These products have gained respect for its low maintenance and quality in the market. Looking for “Vacuum Oxygen Decarburizer”?